It has taken plant breeders years of dedication to produce this magical Buddleia. 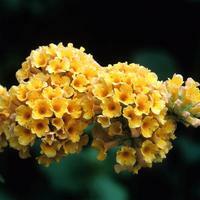 It is a hybrid of the usual blue-purple varieties, mixed with a yellow flowered species. 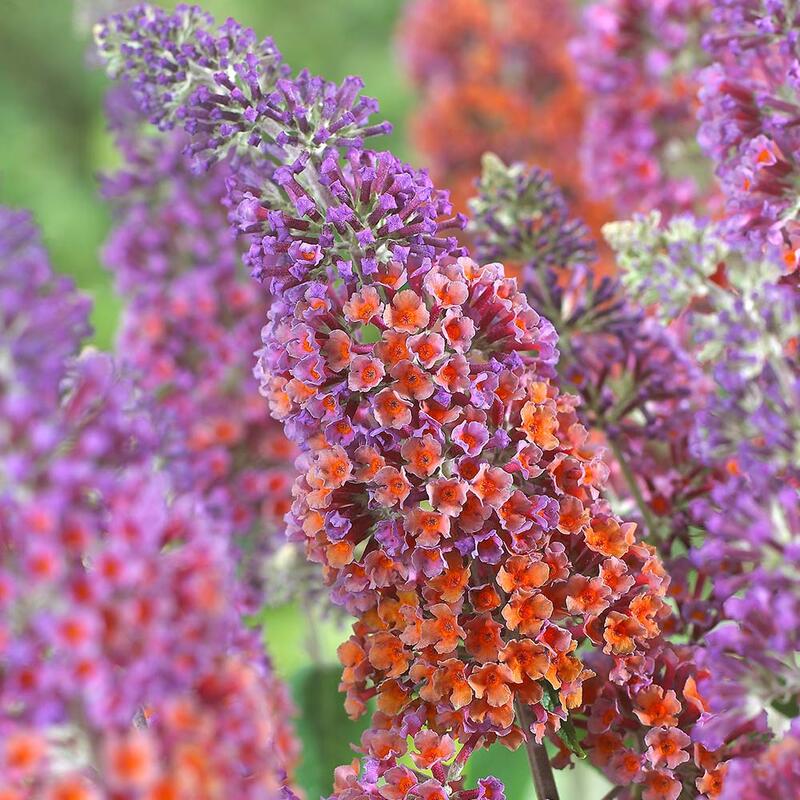 This is what gives Flower Power its gorgeous spires of flowers which blend perfectly from purple to orange - with a spectrum of shades in between. 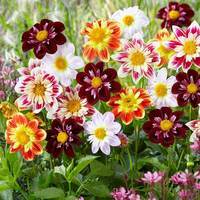 A sensational new colour which seems to radiate warmth in the summer sun, especially in hot themed borders. 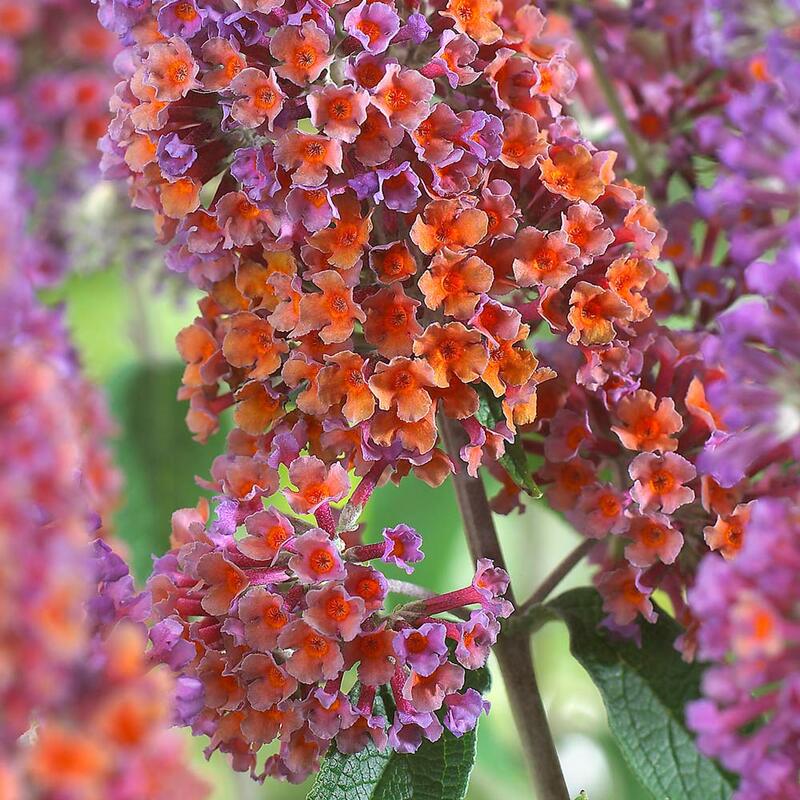 It is not just the view of the flowers you will appreciate, as Buddleia Flower Power will also become a mecca for beautiful peacock and tortoise-shell butterflies (hence the common name Butterfly Bush). 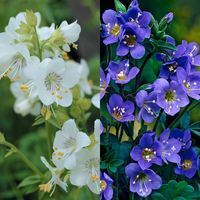 Hardy and easy to grow, the dazzling multi-coloured displays and sweet scent will last all summer long. It is more upright and less bushy than more common Buddleia which means it won't need as much maintenance and support. 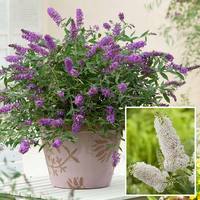 9cm pot grown plants supplied.